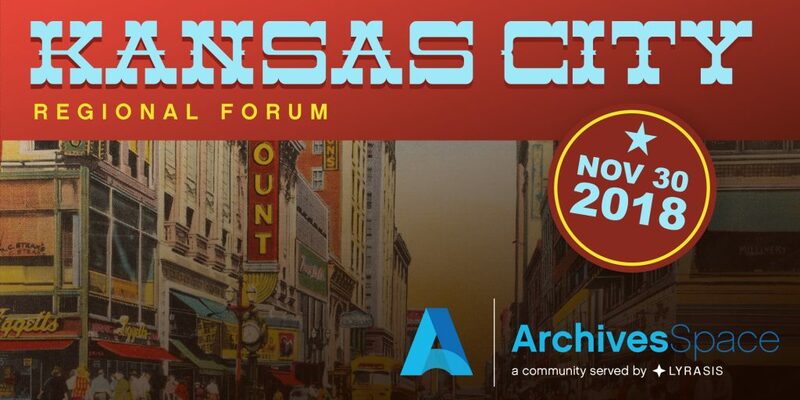 Join us for the ArchivesSpace Regional Forum in Kansas City! The regional forums are opportunities for our diverse ArchivesSpace members to meet up more locally to share and learn from each other through workshops, focused discussion sessions, and presentations. Registration is now open! The specifics continue to be shaped by the working group. The most current information is available on the ArchivesSpace wiki. Morning Workshops: The morning will feature two hands-on, engaging workshops. Please register for the workshop you are interested in attending. Each workshop is limited to 15 participants. Workshop Description: Git is a powerful open source version control tool that was originally designed for software development projects. GitHub is a web-based service that offers the functionality of Git plus additional features that enhance collaboration and project management. The combination of Git and GitHub creates a redundant, transparent, and reproducible work environment. However, accessing items available on GitHub (such as ArchivesSpace source code, documentation, and migration scripts) can be confusing and frustrating without training and practice. This workshop will introduce you to the basics of using Git on the command line, setting up your own GitHub repository, and contributing to projects hosted on GitHub. This workshop will also introduce you to using Markdown for formatting plain text files. You do not need to have any prior knowledge of Git, GitHub, Markdown, or the Unix-style command line to attend. Afternoon program: The afternoon session will highlight stories and experiences through presentations and group discussions. A catered lunch will be provided. We will kick off the forum on November 29th (the night before) with an optional happy hour at Smokehouse Barbecue. Join us for a casual get together so we can get to know each other over delicious Kansas City barbecue! We’ll provide a selection of appetizers to share. You are welcome to purchase your own drinks or additional food. This social activity is open to everyone. If you have any questions (or ideas!) related to the regional forums, feel free to email Christine Kim at christine.kim@lyrasis.org.